Quite the interesting book! This book is about taking risks for the things we believe in, and how the situation and consequences can change us for the better or worse. After I got used to (and understood why, in some instances) the poetic compilation of the book, I was able to identify and commiserate with Ella’s coming-of-age issues. Ella feels as if she is always doing the wrong thing. She loves art, so when an opportunity to make a statement in an art exhibit comes up, she takes it. But was it worth it? She’s fallen in love with Samir, who also wants to make a statement, but is their relationship, full of holes with different beliefs, morals and family values, worth the struggle? This book is philosophical in a sense, as it takes us through the extraordinary struggles of a seemingly ordinary girl. The story of Ella feels incomplete, however, and sort of leaves us hanging with questions. Will Ella ever find faith again? Will she continue making statements? I really didn’t understand the need for her character to develop into wanting multiple boyfriends, but maybe leaving it on that note was what the author wanted us to associate with Ella; the audacity of her thought process. 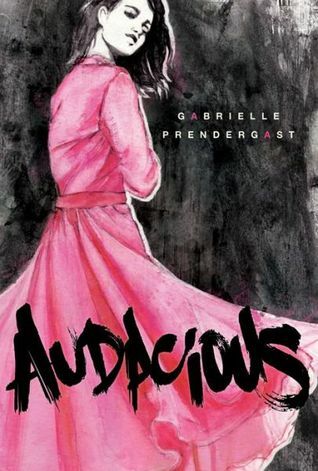 I liked Audacious, not just because I could easily read it in one sitting, but because it was creative, an interesting story, and I felt more involved with what was going on in this chapter of Ella’s life. I even saw myself in a few instances, as well as my family and I liked that I could relate to it in that way. In all, I would absolutely recommend Audacious to the youth looking for a coming-of-age story that may not be to far away from their own lives. Read and learn from it, and know that it’s okay to be different. It’s okay to be audacious. Let six million of them burn? would let those things happen?